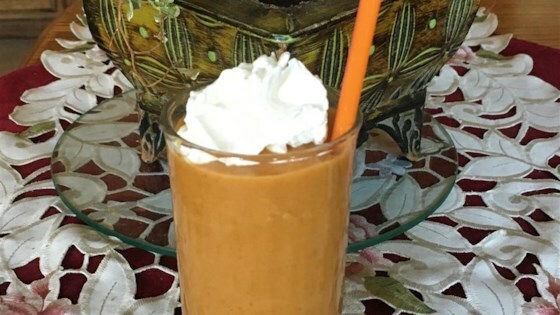 "A perfect pumpkin smoothie for anytime. Light, healthy, and good for you. No added sugar!" Combine vanilla soy milk, pumpkin puree, ice, banana, vanilla protein powder, and ground cinnamon in a blender; blend until smooth. You may add pumpkin pie spice if you have it on hand. Very delicious! I added a small protein shake because I don't use the protein powder and it was delicious! Made just as is, but for one. Will make again, loved it!